← Look how far we have run to! Wow! Only 12.4 miles left to go! Congratulations to everyone who has been out running over the past few weeks. 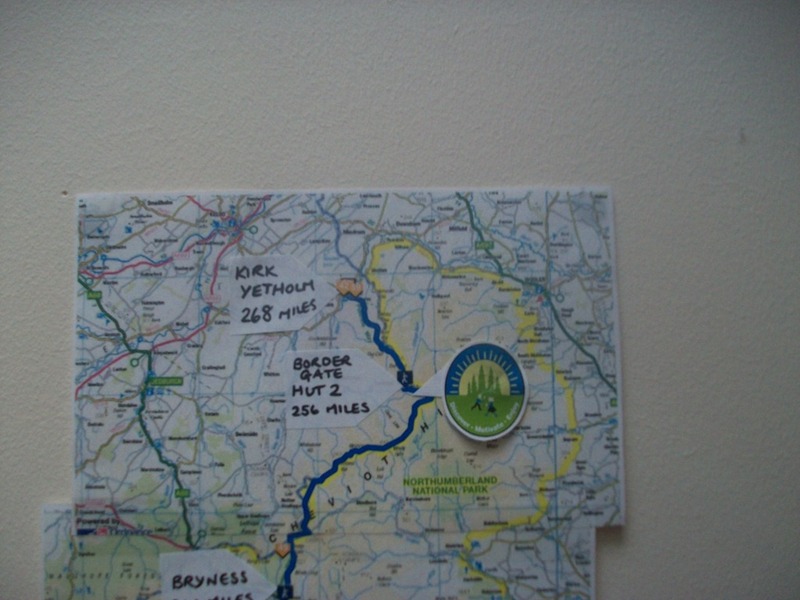 Working together you have added a massive 128.6 miles to our whole school effort of 127 miles – how incredible is that? We are now almost at the top of the route. Currently we are 0.6 miles away from Hut 2 at Border Gate, having just run along the edge of the Cheviot Hills following the border of the Northumberland National Park. The finish line at Kirk Yetholm is in our sights, with only 12.4 miles left to complete the course. This is really super news as Andy Mouncey is coming in to assembly tomorrow morning to talk to us about how he found the race and the conditions and to tell us all about his adventure. Posted on February 4, 2014, in General Information. Bookmark the permalink. 1 Comment.